Here’s the Summary for September 15, 2014 (for previous summary, please see Summary for September 12, 2014). 1. Last weekend showed: that while rumors are breeding in the country about some secret Kyiv negotiations with Moscow on a “peaceful settlement” of the conflict in Donbas, Donbas itself became the scene of such a tense “peaceful” confrontation, that not every war quite measures up to it. Russian-terrorist troops are frantically trying to squeeze out Ukrainian units and subdivisions from the positions occupied by them–especially in the vicinity of Donetsk, Avdiivka, Debaltseve, Volnovakha, Shchastya. Shellings and assaults do not stop. A subversive war is in full swing. The situation remains tense from the Sea of ​​Azov to Donetsk: the opponent is fighting for the stretch of Shyrokyne–Telmanove–Dokuchajevsk–Maryinka–Krasnohorivka. A threat from the north is looming over Mariupol. Ukrainian troops are holding [back] the onslaught. However, it is very clear already: we cannot count on even the most inferior peace, unfortunately. 2. And, as confirmation, today the great puppeteer Putin put his playful little hand into the puppet leader of the DNR Purgin, who announced with his own mouth: terrorists (read: the Kremlin) could care less about the sensational bill of President Poroshenko on “the special status” of certain districts of Donbas. “This is a bill for Ukraine. For the Donetsk People’s Republic, our own parliament creates the laws,” claimed the doll with Purgin’s face. Gentlemen, what peaceful settlement can we talk about? Until the geopolitically autistic Putin manages to speak on his own, all the talk of the world is not worth more than the cheapest disposable razor, for which Purgin, judging by his permanently unshaven state, has no money. 3. The story of the return of the helicopter company Ukrainian Helicopters from their UN mission, which was so much talked about by all sorts of experts and politicians, has become a theater of the absurd. It is such an incredible story that I can’t help but tell you. Let me remind you. In the midst of the ATO [someone] suddenly remembered that Ukraine had helicopters on UN missions. Naturally, there was some resonance around their return to Ukraine. 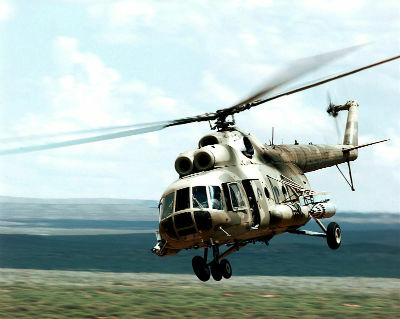 The company Ukrainian Helicopters, which manages these machines–leased from the Ministry of Defense and the Ministry of Internal Affairs, pointed to several factors. Firstly, the machines have been leased as scrap metal, and repaired at the company’s expense (which cost it, according to the Ukrainian Helicopters, over 400 million Hryvnias [$31 million]). Second, the Ministry of Defense received monthly lease payments in the amount of 3.57 million Hryvnias [$275,000] (plus charitable assistance of 14 million Hryvnias [$1 million], which the company transferred for the construction of military housing). And, thirdly, as reported by the company, punitive UN sanctions for breach of contract resulting from the withdrawal of helicopters from UN missions would amount to a little under 400 million Hryvnias [$31 million]. All this, according to the company representatives, should force those who demand the immediate return of the helicopters, to at least consider and weigh all the pros and cons. But no one discussed it or weighed in [on the issue]. Well, let’s not argue, if it has to be done, it will be done–the country is at war, no disputes there. The company Ukrainian Helicopters complied with the demand and began to bring back the machines (at the present moment–8 helicopters [returned]) to Ukraine. And then the fun begins. On August 21, the company signed an amendment to the lease agreement for the return of 8 leased helicopters to the Ministry of Defense of Ukraine “by mutual agreement of the parties” and tried to give the machines back to the military. In response–[only] silence. Attempts to find those who will take the helicopters, whose return was accompanied by such excitement, amounted to nothing. Moreover, the military agency also ignores requests to use the company helicopters to evacuate the wounded, and besides, the company assumes responsibility for servicing these machines. As a result, on September 12, the company filed a claim with the Kyiv Commercial Court (it is worth considering their formulation) stating coercion by the Ground Troops Command of the AFU [Armed Forces of Ukraine] to take back the leased helicopters! If someone can understand this insanity, please explain. Personally, I completely fail to understand why it was necessary to break off the UN agreement and incur the punitive sanctions (by the way, this could mean the “departure” of Ukrainian companies from this relatively prestigious market, and their replacement by Russian carriers), to ruin the “peacekeeping” image of Ukraine, just to make sure that the Ukrainian military has no use for these military helicopters. If it was [done] for the benefit of the frontlines–[there would not be] any questions about it. But in this situation, who is responsible for this absurdity? Alas, there’s no answer. 1. 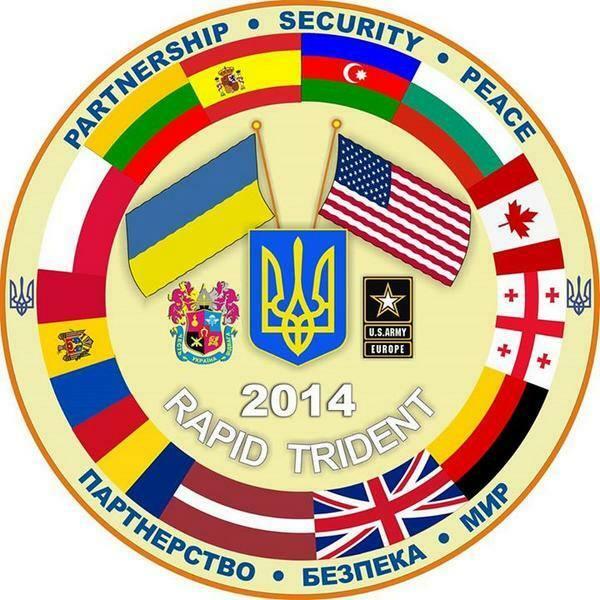 In the Lviv region, a joint Ukrainian-American exercise, “Rapid Trident 2014,” involving soldiers from 15 countries, was launched. It even pleases that, as reported by the Ministry of Defense, the “hybrid war” scenario, now used by Russia against Ukraine, will be practiced in the course of the exercises, including opposition to all sorts of provocations and informational aggressions. 2. We note the increased frequency of “friendly fire” in the disjointed ranks of the Russian-terrorist forces. Terrorists fired at units of the Russian army, as well as at each other. Not only do they use small arms, but also artillery. According to our data, this is due to considerably weak interaction among the insurgent groups from the DNR and LNR [Donetsk and Luhansk People’s Republics], and the Russian troops. This is the enemy’s weak spot that has to be exploited (obviously, not during the “ceasefire”). The bad news is that the interaction of our armed forces with each other and with volunteer units is also far from ideal, as we have been saying since this spring. 3. The European media reported today: the EU could strengthen sanctions against Russia, and–importantly­–finally recognize the so-called DNR and LNR as terrorist organizations. In particular, reporting this, the German publication Bild referred to a secret protocol of the meeting of ambassadors from the EU member states. 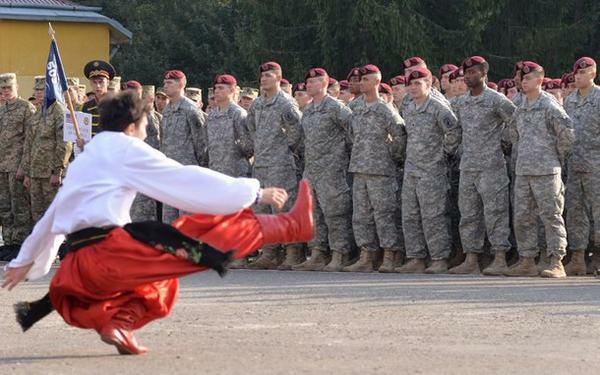 Sanctions against Russia are always good, it’s like butter in a porridge, it will never hurt. But the recognition of terrorists as terrorists entails the recognition of Russia as a nation that supports terrorism. This is an achievement, considering that Moscow will never be called by its [real] name, i.e. the aggressor. Slowly, very slowly, but Kyiv is still achieving its most important foreign policy goals in the context of the war in Donbas. And this is a good thing. 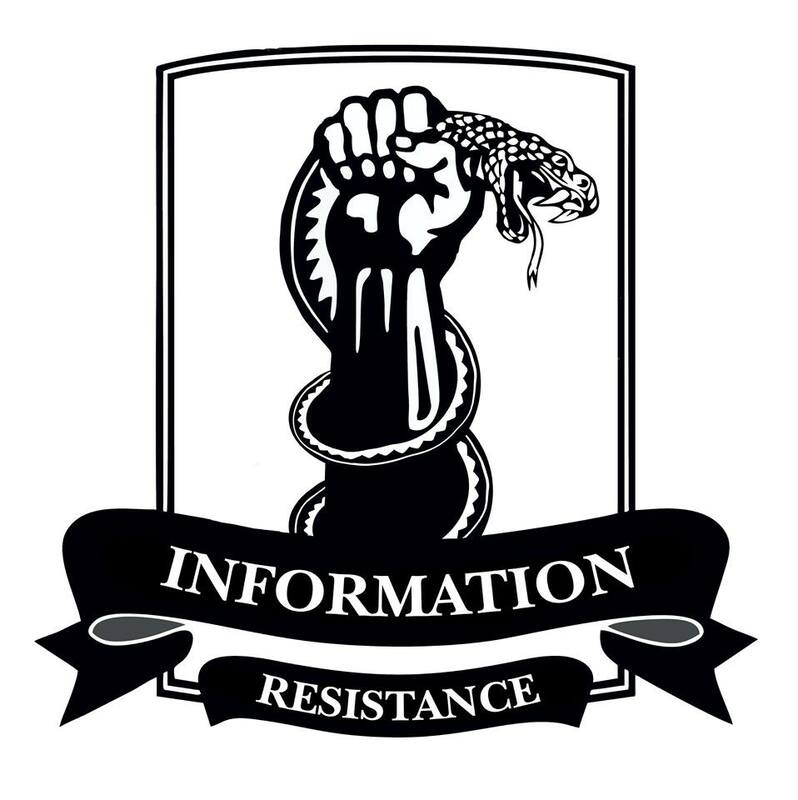 This entry was posted in Dmitry Tymchuk, English, English News, South&Eastern Ukraine, War in Donbas and tagged #ArmUkraine, #RussiaInvadedUkraine, #RussiaViolatedCeasefire, #SaveUkraine, Dmitry Tymchuk, Donbas, Information Resistance, Ukraine. Bookmark the permalink.